James Nehring began his teaching career in 1982 in a high poverty, rural middle school. After several years, he moved to a suburban district where he founded the Bethlehem Lab School, an alternative high school committed to thoughtful learning focused on inquiry, reflection, and authentic demonstration of mastery. In 1996, he assumed the principalship of the Francis Parker Charter Essential School and later served as founding trustee for the North Central Charter Essential School. 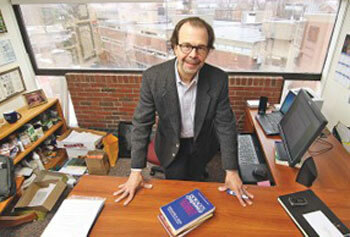 In 2006, he joined the faculty of the University of Massachusetts Lowell Graduate School of Education. His teaching, research and advocacy endeavor to bring thoughtful educational practice into the public mainstream. Jim’s first book, Why Do We Gotta Do This Stuff, Mr. Nehring? Notes from a Teacher’s Day in School was published in 1989 to critical acclaim. He has authored six books, numerous research studies, and many commentaries. As an advocate for public education, Jim has led the start-up of three progressive public secondary schools and worked for better policies at the state and federal levels through protests, presentations, and public testimony. He is an associate professor of education at the University of Massachusetts Lowell and is the recipient of a Fulbright Award for research in Northern Ireland and a Brown University Alumni award for “contributions to teachers and teacher education." Jim lives with his wife, Laurie, an environmental educator and activist, near Boston, MA. They are parents of three grown daughters.